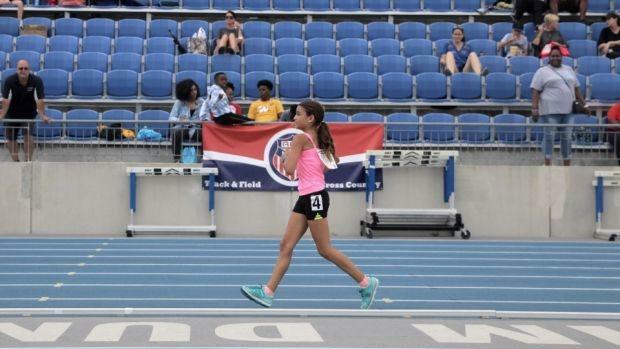 When Reese Gentry's dad learned there was something wrong with the plane that was scheduled to take the pair to Des Moines, Iowa, for the AAU Junior Olympics on Saturday, he made a very quick decision to make sure she made the event. 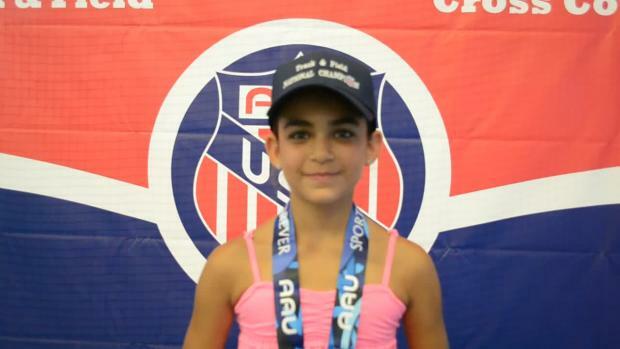 "He hopped in the car and said 'Reese, get in here, it doesn't matter, don't ask questions," said the 12-year-old, who was a 2-time national champion in the event. 'He started calling everyone, telling them we had to drive from Northridge (California) to Des Moines," she said. Next thing you know--after a quick pit stop in Denver to pick up her uncle-- everyone was in Iowa, just in time for the 1500m race walk championship. "We stopped for gas and that's it," Reese said. It was an important trip, however, considering Reese won her third straight national title and was just six seconds away from breaking the national record with a winning time of 7:18.46. She was a minute faster than the next closest competitor. And her secret? "Just making sure my toes were down," she said. Afterward, Reese had dinner with her friend Katie and then it was back to Northridge, California. The family was driving back again. "When we're going back my dad said he wanted to get sleep first," Gentry said. He didn't sleep for two days. I said, 'Are we driving back after the race? He said, 'Are you freaking crazy?'" After a whirlwind road trip, the Gentry's were back on the road yet again.